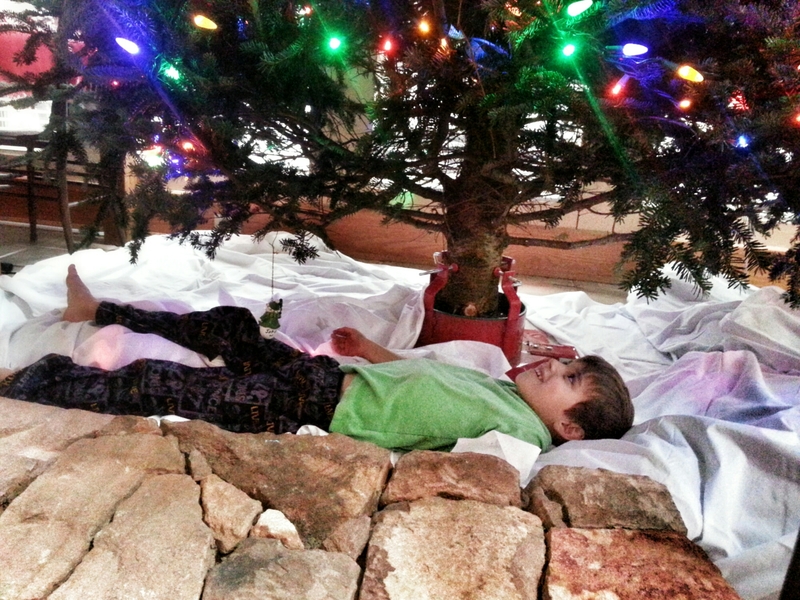 Well, that’s one way to enjoy a Christmas tree. LOl!! My kids do the same exact thing!! When its all lit up, they lay underneath and look up for at least a half hour at a time. One of these days, I’m going to get down under there and see what the hype is all about!!! This is adorable! Merry Christmas!! !